The Chinese government hopes that these enterprises will give it political influence throughout the region. But private firms are focused on profit, and Beijing has not always succeeded in converting business relationships into political heft, even when the projects have involved state-run enterprises, since these firms also often pursue commercial interests that conflict with diplomatic goals. I should apologise for any offence, but I doubt whether many or any read these longs posts about Clinton China and stuff. At the end of the day there is a big “And so what!'. What can I do about it? China and the USA will have a war, real or economic, this is obvious. Past wars between large nations became increasingly about production and attrition, so i'd guess China will win in that case. From anecdotal evidence already many universities in the UK have over 90% Chinese students. They are buying up property and companies here and elsewhere. They relate to the European culture far more than the American. The USA has a tendency to be isolationist, China is not. This accounts for the failure of the USA to establish an Empire, unlike the UK. And China. Basically guys they are smarter than you and there are way more of them. And they are not hindered by having to play the world's sheriff. China and the USA will have a war, real or economic, this is obvious. Basically guys they are smarter than you and there are way more of them. It's in your brain now. There is an epidemic of self-censorship at U.S. universities on the subject of China, one that limits debate and funnels students and academics away from topics likely to offend the Chinese Communist Party. This epidemic stems less from the hundreds of millions of dollars Chinese individuals and the Chinese Communist Party spend in U.S. universities, or the influx of students from mainland China—roughly 350,000 in the United States, up more than fivefold from a decade ago. Rather, it is that some people in American academia, too eager to please Beijing or too fearful of offending China and the Chinese people, have submitted to a sophisticated global censorship regime. This weakens not only their scholarship and integrity, but also their negotiating power with Beijing over issues such as access for research, conferences and other academic collaborations, and joint programs between American and Chinese institutions. More than 100 interviews over the last six months with professors, students, administrators, and alumni at U.S. universities reveal a worrying prevalence of self-censorship regarding China. In a previously unreported incident, Columbia University’s Global Center in Beijing canceled several talks it feared would upset Chinese officials, according to a person familiar with the matter. Some graduate students admitted to regularly censoring themselves. “It has gotten to the point where I don’t engage with anything overly political relating to the Chinese state,” said a white graduate student at a top American university, who described her views as “middle of the road” for those studying China. “I would not willfully do anything that would endanger my ability to get a visa to China in the future,” she added. (Like many of the people I spoke to for this article, the student asked to remain anonymous, because of the real and perceived risks of openly discussing self-censorship. Video of an internal Google meeting shows the company’s top officials talking about using AI to fight populism and “low-information voters” in the wake of Donald Trump’s victory in the 2016 US presidential election. The 1-hour “confidential, for internal use only” video was posted by Breitbart on Wednesday. It has gained traction online, and is cited as yet another proof of the Silicon Valley’s bias towards conservatives. Following Breitbart Tech’s release of a leaked 2016 Google “TGIF” meeting on Wednesday, which showed Google executives’ negative reactions to the election of President Trump, some viewers expressed confusion and mockery over the multi-colored propeller caps worn by employees in the audience. For many people, it was the first time they had seen the hats — which are iconic at Google — but more or less unknown in the general populace. Dozens of people who used to work for Hillary Clinton’s presidential campaign and a number of Clinton initiatives went on to work at Google, and vice-versa. 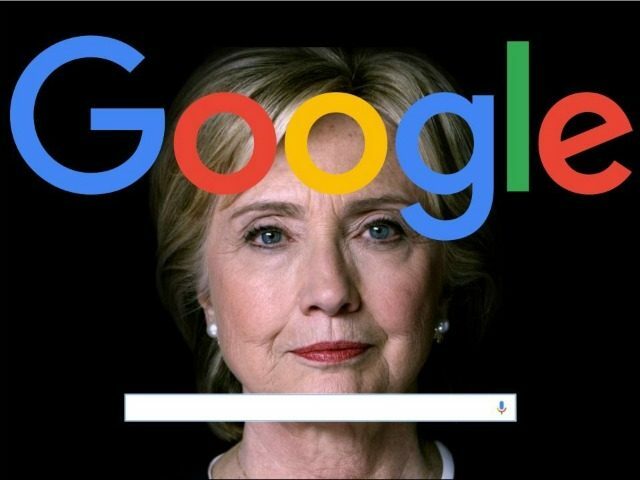 At least twelve employees from the Clinton Global Initiative, the Clinton Foundation, and the Clinton Health Access Initiative went on to work for Google, while at least fifteen Google employees went on to work for Hillary For America. The list was originally developed by Adam Townsend on Twitter. Peter Albers, former Finance and Operations Director at the Clinton Foundation, before moving to Google Fiber as Head of Partnerships and Market Development in 2015. In 2017, he became Google’s Global Head of Business Development and Head of Americas Retail Partnerships for Google Play Retail. Shannon Jones Newberry, former Deputy Director of Communications at the Clinton Global Initiative, before becoming Communications and Public Affairs Manager at Google in 2012. Jeff Lawi, a former analyst at the Clinton Health Access Initiative, before joining Google in 2013 where he has held a number of positions, including Product Support Manager, Senior Product Support Manager, and Principal, Strategy, and Business Operations. Nathan Allen, a former consultant at the Clinton Foundation, before becoming a Senior Creative Producer and Launch Manager at Google in 2015. Allen is currently an Executive Producer at Google. Puiyan Leung, a former consultant for the Clinton Foundation through Stern Consulting Corps. Leung had been an intern at Google before serving as a consultant for the Clinton Foundation, and he returned to Google in 2013 as a financial analyst, before becoming a program manager in 2015. Leung left Google to work for Facebook in 2016. Felicia Yep Salinas, former Employment and Labor Commitment Maker at the Clinton Global Initiative before joining Google in 2015 as a Talent Hacker. She then became a Technical Sourcer in 2016, before moving to Facebook months later. John Lyman, according to the website for GV where he now works, “helped launch the Clinton Global Initiative,” worked as Deputy Chairperson, and focused on “progressive policy and advocacy,” before joining Google for “a decade” where he served as Head of Partnerships and Marketing for Google for Entrepreneurs. Scot Frank, a former mentor at the Clinton Global Initiative, joined Google as a product manager in 2014. Theodore Przybyla, former Working Group Manager at the Clinton Global Initiative, joined Google as an engagement manager in 2015, before leaving for the Brookings Institution in September 2017. Justin Pang, former Deputy Chief Operating Officer at the Clinton Health Access Initiative, joined Google in 2012. Having served as Strategic Partner Lead of Global Partnerships and Team Lead of Global Partnerships, he is currently the Head of Partnerships. Maria Wang-Faulkner, former Country Support Manager at the Clinton Health Access Initiative, joined Google as a Strategic Partner Manager in 2016, and currently serves as Strategic Partner Development Manager for Google Assistant. Paul Lee, a former consultant for the Clinton Foundation, joined Google in 2007 as a Senior Product Manager, before leaving in 2015. Stephanie Hannon, former Group Product Manager at Google, left the company in 2011 before becoming a Product Manager at Facebook in 2012. Hannon then moved back to Google in 2013 as a Director of Product Management for just over two years, before she became the Chief Technology Officer for Hillary For America in April 2015. Osi Imeokparia, former Product Management Director at Google, left the company in 2015 to become Chief Product Officer at Hillary For America. Imeokparia currently works at the Chan Zuckerberg Initiative, which is owned by Facebook CEO Mark Zuckerberg and his wife Priscilla Chan. Derek Parham, former Technical Lead of Google Apps, joined Hillary For America in 2016 as Deputy Chief Technology Officer. Jason Rosenbaum has worked in a number of Democrat Party-affiliated positions, including as Deputy Director of Online Communications for the Democratic Congressional Campaign Committee between April 2007 and March 2009, and Digital Director for the Democratic Senatorial Campaign Committee between March 2009 and June 2013. Rosenbaum then became Director of Elections and Advocacy at Google in July 2013, before leaving to become Director of Digital Advertising at Hillary For America in July 2015. Nathaniel Welch, a former Site Reliability Engineer at Google, joined Hillary For America as Staff Site Reliability Engineer in January 2016. Henry Bridge, former Product Manager at Google, left to join Facebook in June 2011, before becoming Director of Product at Hillary For America in January 2016. Fred Wulff, a former software engineer at Google, joined Hillary For America in March 2016 as a software engineer and manager. Divina Videna Chung, former Operations Point of Contact at Google Express, joined Hillary For America in February 2016 as California Phone Bank Captain and Nevada Precinct Captain. She also worked at Uber, before moving to Facebook as an Oculus VR Brand Ambassador. Danny Bowman, a former Product Specialist at Google, joined Hillary For America in July 2016 as a software engineer. James Plummer, a former User Experience Designer at Google, joined Hillary For America in January 2016 as Lead Product Designer and Manager. Andrea Frome, a former software engineer at Google, joined Hillary For America in May 2016 as a senior software engineer. Maxwell Nunes, a former Political Advertising Fellow at Google, joined Hillary For America’s digital team in June 2015. Nunes currently works in digital policy at Airbnb. Remy DeCausemaker, a former mentor at Google Summer of Code, joined Hillary For America in June 2016 as Open Source Community Manager, before becoming Open Source Program Manager at Twitter in June 2017. Dina Lamdany, a former software engineering intern at Google, joined Hillary For America in June 2015 as a data analyst, before moving back to Google as an Associate Product Manager. This year, Breitbart Tech also discovered that dozens of former Clinton and Obama staffers were now working at Facebook. In 2016, WikiLeaks claimed Google was “directly engaged” with and working for the Clinton presidential campaign, while leaked emails showed that former Google Executive Chairman Eric Schmidt wanted to be the “Head Outside Advisor” to the Clinton Campaign. Schmidt was also “instrumental” in creating the “The Groundwork,” a company that sought to put Clinton into the White House, and Google worked to hide negative search results of Clinton during the presidential campaign. In a leaked video released by Breitbart Tech of an internal meeting at Google shortly after Clinton’s presidential campaign defeat in 2016, Google executives, including CEO Sundar Pichai, co-founders Larry Page and Sergey Brin, Chief Financial Officer Ruth Porat, and Vice Presidents Kent Walker and Eileen Naughton expressed strong and negative reactions to the results. The executives also applauded an employee who made a remark about needing to recognize “white privilege” following the election. and avoiding the filter bubble of personalized search results. Silicon Valley giant Google employs nearly 10,000 foreign workers, importing them to the United States on visas, a newly leaked video obtained by Breitbart News reveals. In the Google meeting, Vice President of People Operations Eileen Naughton reveals the extent to which the tech conglomerate has imported and currently employs close to 10,000 foreign workers with plans to expand their foreign workforce population. First and foremost is immigration. We have nearly 10,000 Googlers in the U.S. on visas. Very understandably, those of you who are working here and have families here or are in the process of renewing or getting visas are probably very concerned. Naughton then explains how President Obama’s administration readily allowed and invited Google and other tech corporations to import foreign workers instead of hiring American citizens. Every year, more than 100,000 foreign workers are brought to the U.S. on H-1B visas and are allowed to stay for up to six years. That number has ballooned to potentially hundreds of thousands each year, as universities and non-profits are exempt from the cap. With more foreign workers entering the U.S. through the visa system, Americans are often replaced and forced to train their foreign replacements. In the last decade, more than 2.6 million H-1B foreign workers were approved to take high-paying U.S. jobs. The Trump administration has sought to clamp down on corporations outsourcing U.S. to cheaper, foreign workers through the H-1B visa. The pro-American reforms to the H-1B visa are expected to open up about 80,000 high-paying, white collar jobs for Americans over the next two years. Naughton and Senior Vice President for Global Affairs and Chief Legal Officer Kent Walker also promoted the corporation’s use of the H-1B visa to import and employ foreign workers, rather than Americans. “I would believe, being pro-business as a Republican, [Trump] would understand the need of certain sectors to have H-1B visas, etc,” Naughton said. Walker noted the monolithic, corporate open borders viewpoint among the Republican and Democratic political establishments on the H-1B visa and national immigration policy. This year, alone, Google tried to import more than 5,200 foreign workers to take coveted, high-paying tech jobs in Silicon Valley. This would have added to the already nearly 10,000 foreign workers who are currently employed at Google, as revealed in the leaked video. Google, along with other tech corporations like Cisco, Microsoft, and Facebook have been exposed for using Indian outsourcing firms like Tata Consulting Services and Infosys to hide the number of H-1B foreign workers they import annually. Last year, Eric Schmidt — the top executive of Google’s parent company, Alphabet before leaving in January 2018 — said corporations should be allowed to import as many foreign workers as they want, without regard for whether Americans are replaced and displaced in the process. “The stupidest policy in the entire American political system was the limit on H-1B visas,” Schmidt said at the time. Analysis conducted last year revealed that despite the growing number of American STEM graduates every year, Americans are vastly outnumbered in Silicon Valley’s tech industry. About 71 percent of tech workers in Silicon Valley are foreign-born, while the tech industry in the San Francisco, Oakland, and Hayward area is made up of 50 percent foreign-born tech workers. In 2017, the Trump administration set up an H-1B visa abuse hotline for American workers to email if they or their coworkers were being replaced by foreign workers. Last year, a total of more than 5,000 cases of H-1B visa abuse was reported. Four million Americans turn 18 years old every year and begin looking for good jobs in the American economy, or enter higher education with the same goal. For decades, the federal government has inflated the supply of new labor by annually admitting more than 1.5 million new legal immigrants, providing work-permits to roughly 3 million resident foreigners, and by not effectively enforcing national immigration laws to block the employment of about 8 million illegal aliens.